Last weekend, my daughter asked me to do a craft. 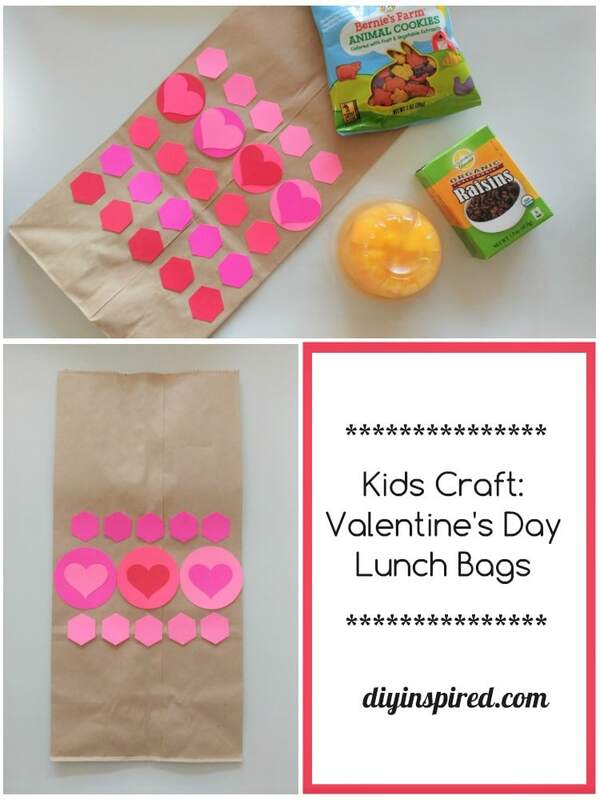 She grabbed the brown paper lunch bags out of the kitchen drawer and said, “let’s make something out of these!” We were in a Valentine’s Day type of mood, so I thought we’d decorate them and make Valentine’s Day lunch bags to take to school. The two of us went to town and made five bags. 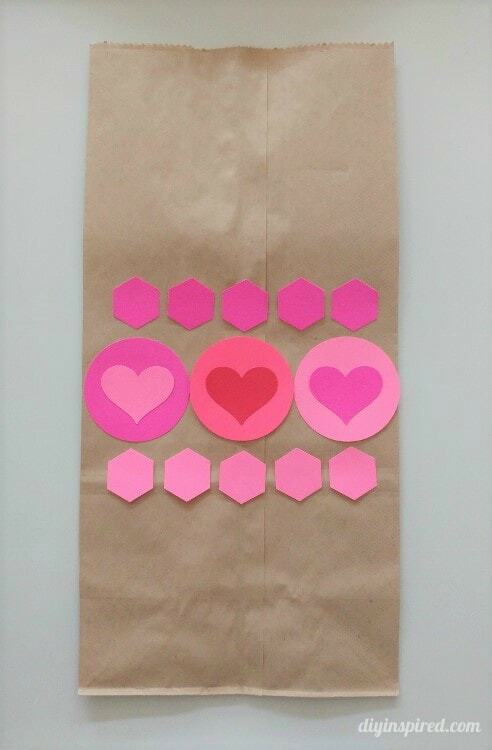 One lunch bag for Monday through Friday. Here are the two that I made using some scrap paper and glue a Fiskars hexagon craft punch , heart craft punch , and circle punches . 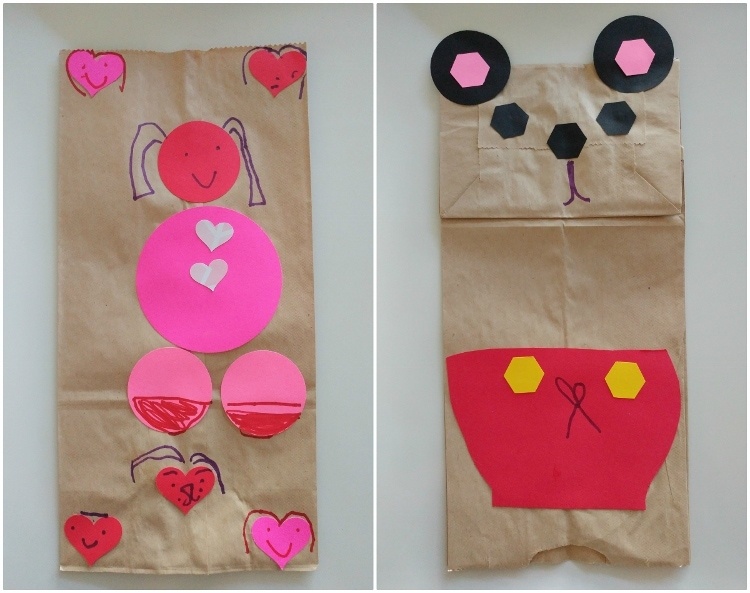 I have to say it was a lot of fun sitting down with her and decorating these lunch bags. 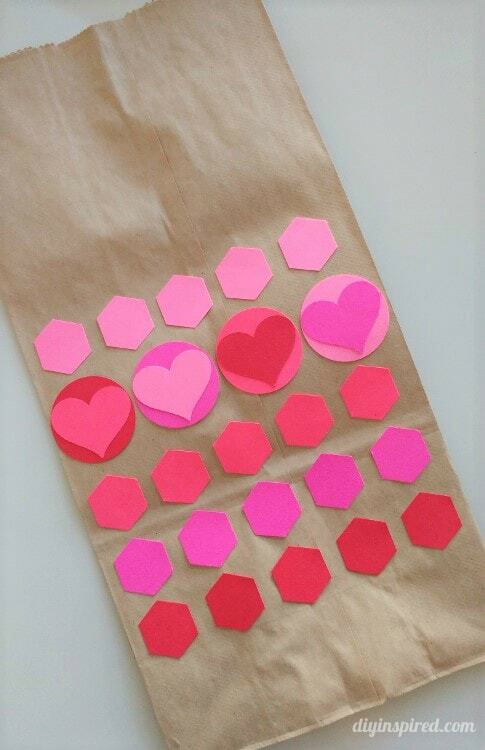 It’s such a simple kid’s craft activity that doubles as family fun. Here are two that my six-year-old daughter made. I thought her Mickey Mouse was quite good! That bag, by the way, ended up turning into a puppet that she used to entertain her ten-month-old sister!